Input text: There is a giant flower. 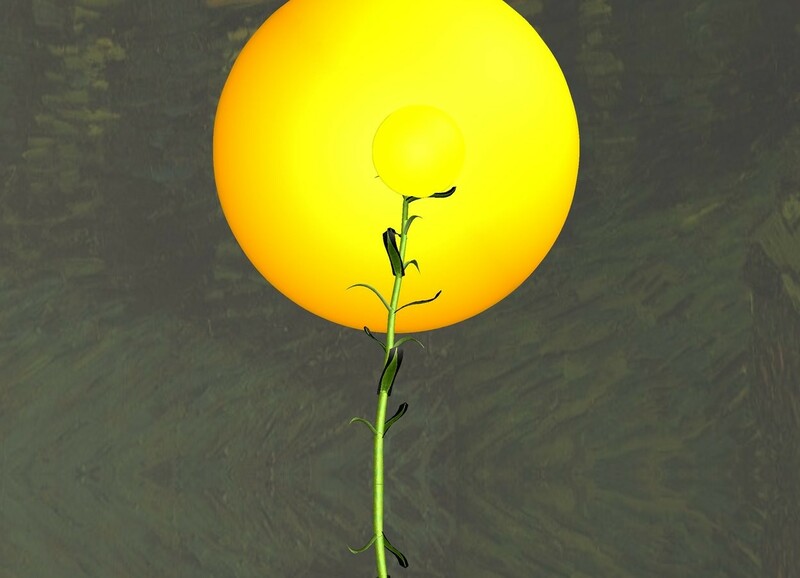 There is a yellow sphere 1 foot in the flower. The yellow sphere is -.9 feet to the left of the flower. The ground is reflective silver. There is a bright yellow light in front of the yellow sphere. The ambient light is yellow. The second orange sphere is in front of the yellow sphere. The second orange sphere is 5 feet tall. The second orange sphere is 2 feet above the ground. The sky is [stars]. The sky is dark. Oh yeah resurrection! What was it like?